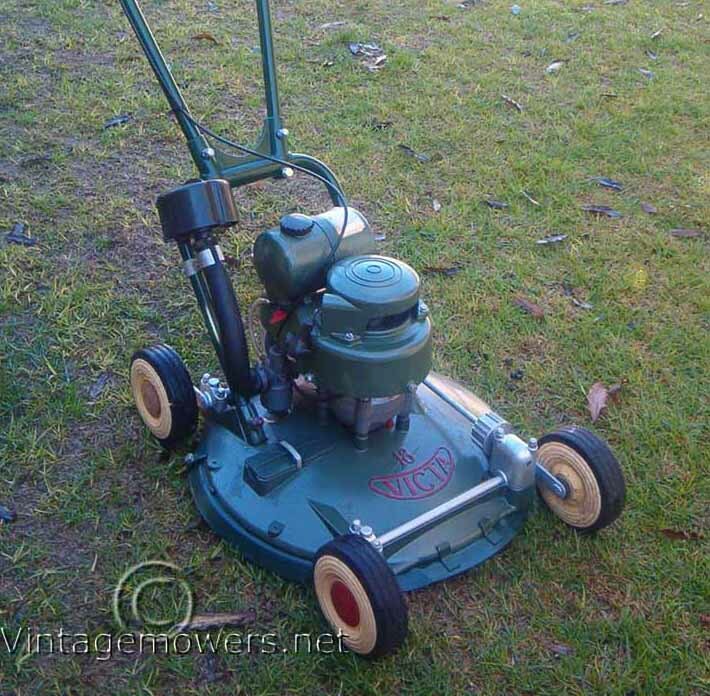 this particular model was mass produced and became the most recognised Victa Mower for years to come. 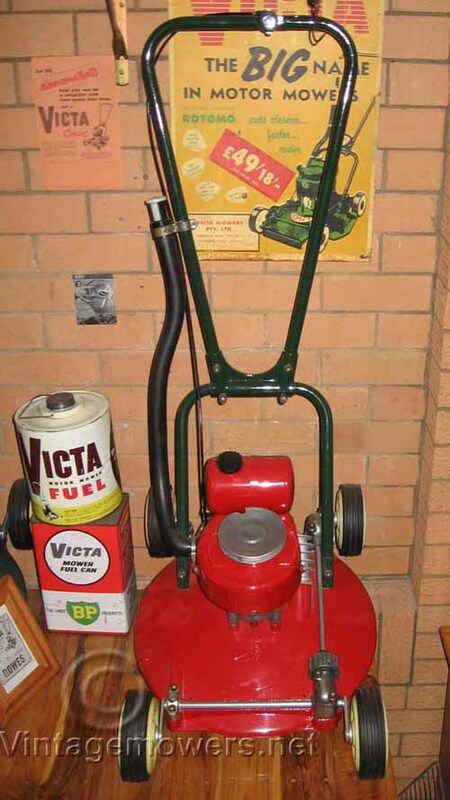 It was so popular and well known, many people thought this was the first Victa mower. 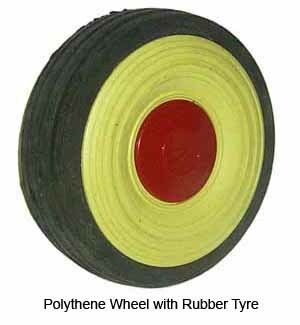 This Model was exported overseas as well as sold in a variety of different Department stores with no brand name. and alterations were made to the Alluminium decks as well. 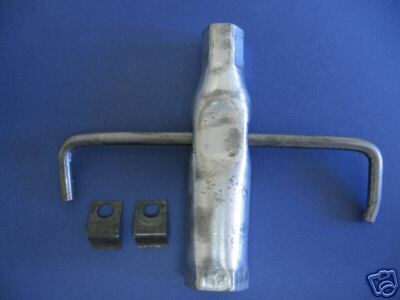 * Plastic badge between handle bars. * Optional rope pulley or Automatic rewind starter. 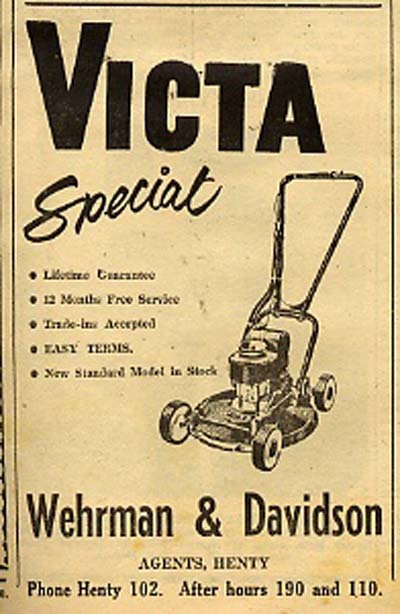 1st Model using Model 4 chasis We are including this model in the Victa specials only because people have indicated they owned these mowers from new with the Victa Special badge in the handle bars, and also some early adverts suggest they may have been sold this way. 1st Model 5 This Model came with a ramp moulded into the side of the chassis for the infamous edger attatchment. Also has the capability of using the predicta setup with the inclusion of mounting arms on rear and front axle housings. 2nd Model This was the same as the first Model 5 chasis without the inclusion of the mounting arms for the predicta setup. 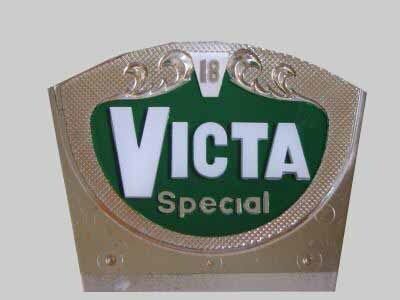 Regarded as being the first true Victa Special and was most likely the largest produced. 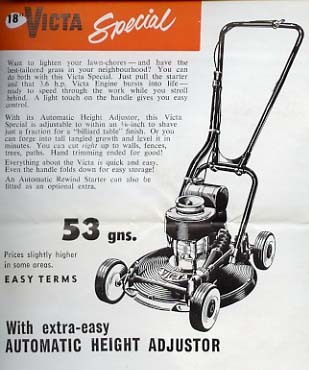 3rd This Model has no edger rail, the last of the Victa Specials to be produced. These were made for the Department stores. 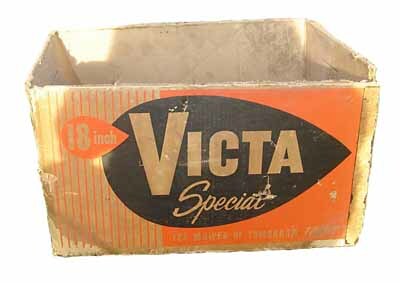 Note the raised victa boomerang icon on the front of the chassis has no Victa logo on it. 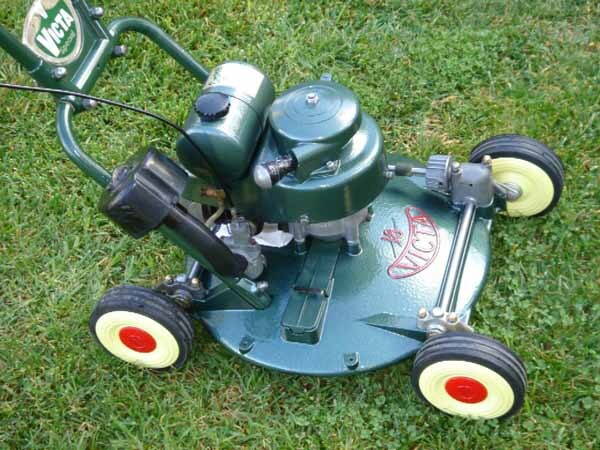 Red and green were chosen for these models, including a red or white choke and a chassis without the edger attatchment. 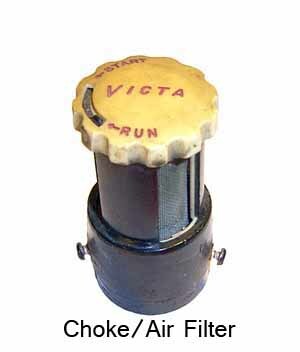 No victa markings at all. *It removed the guard ring. *turned the height control lever. *loosened the handle bar nuts.